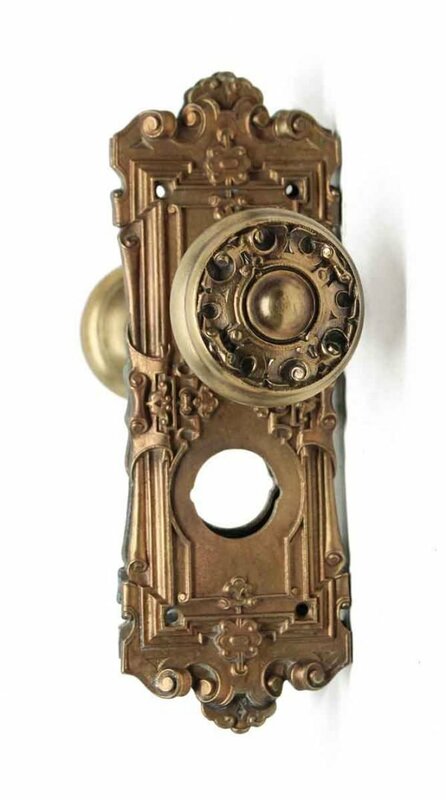 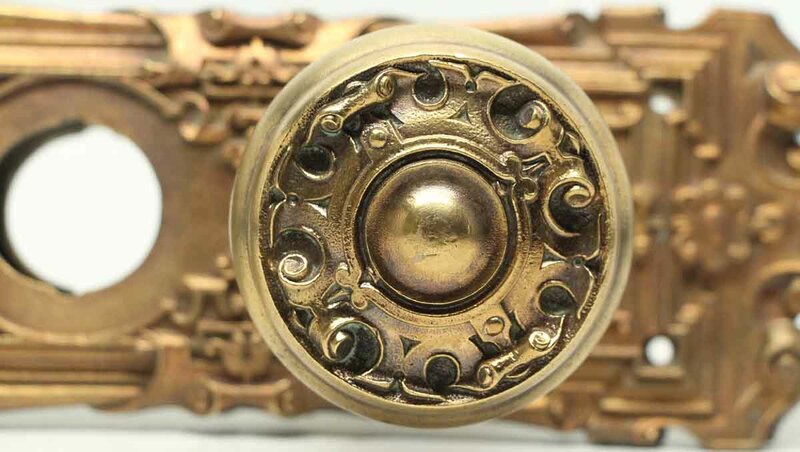 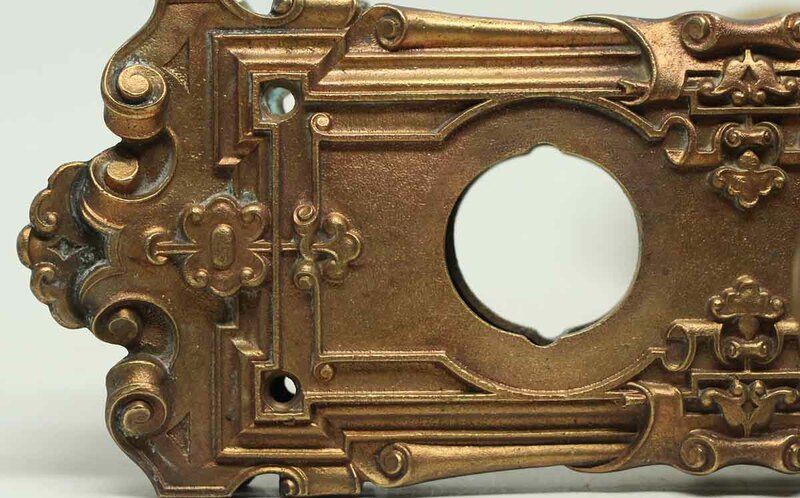 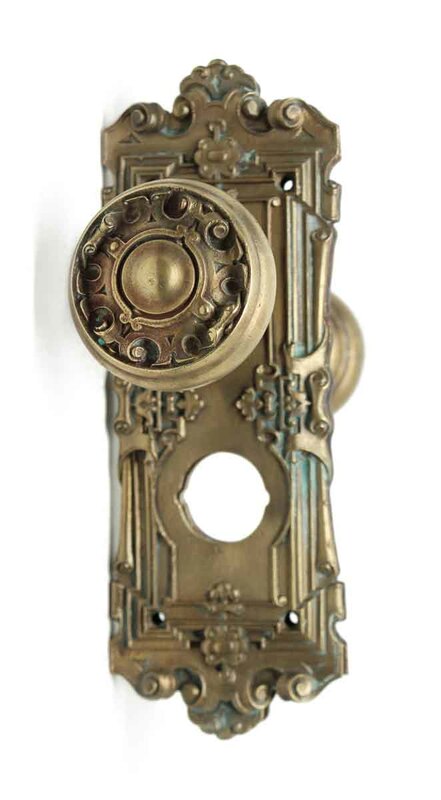 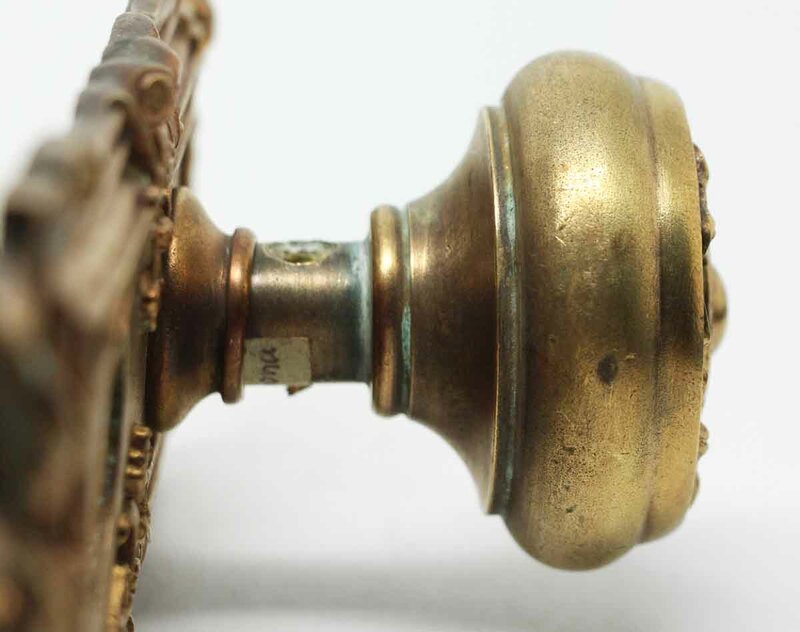 This Elizabethan style two fold knob was made by Yale & Towne in the 1910 catalog. 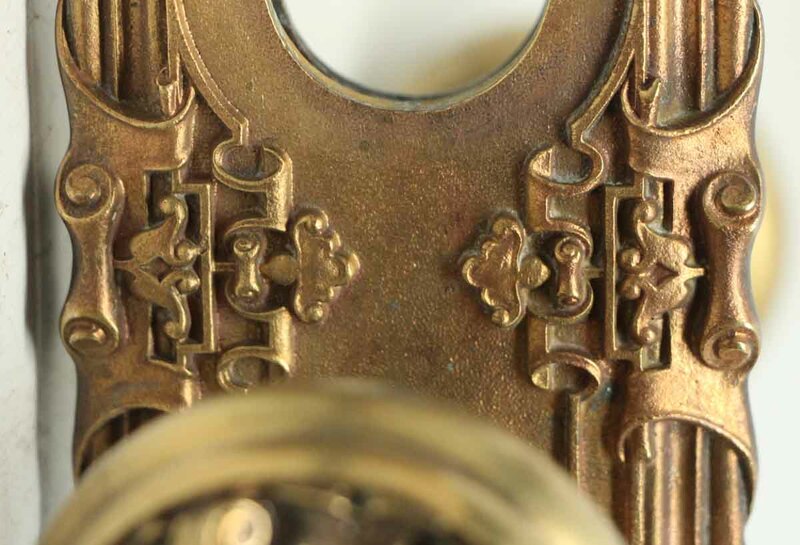 It is part of the F-25100 Guernsey group. 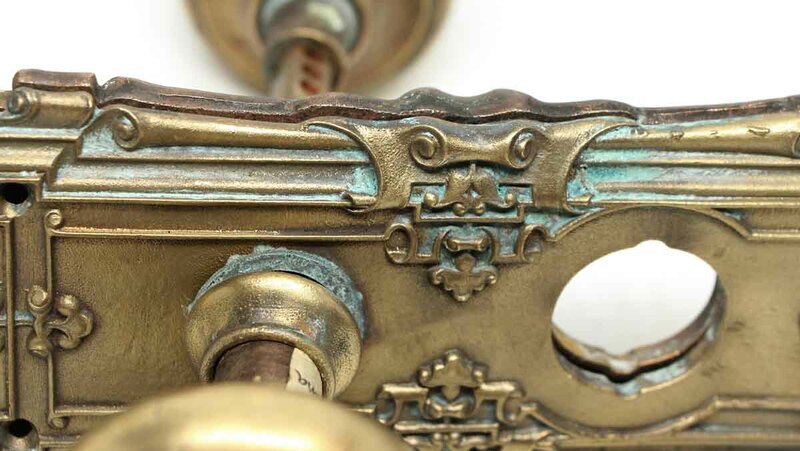 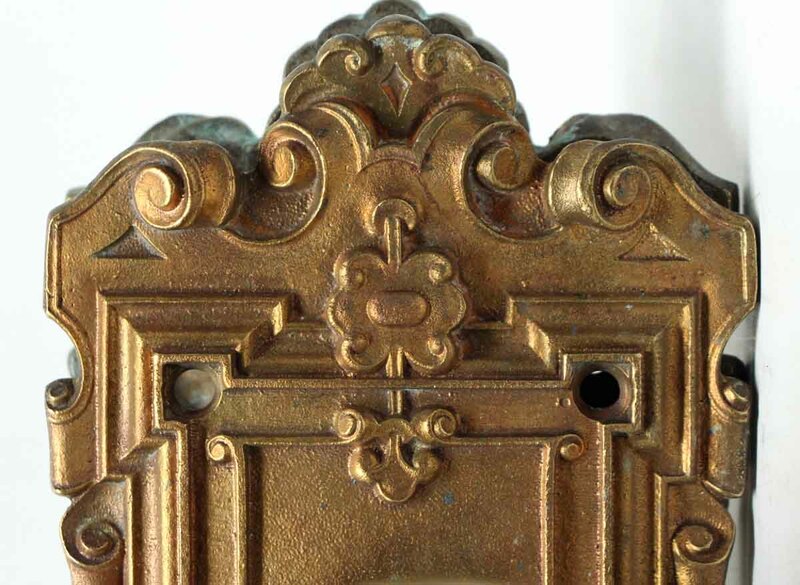 This solid brass set includes a pair of door knobs and two back plates. 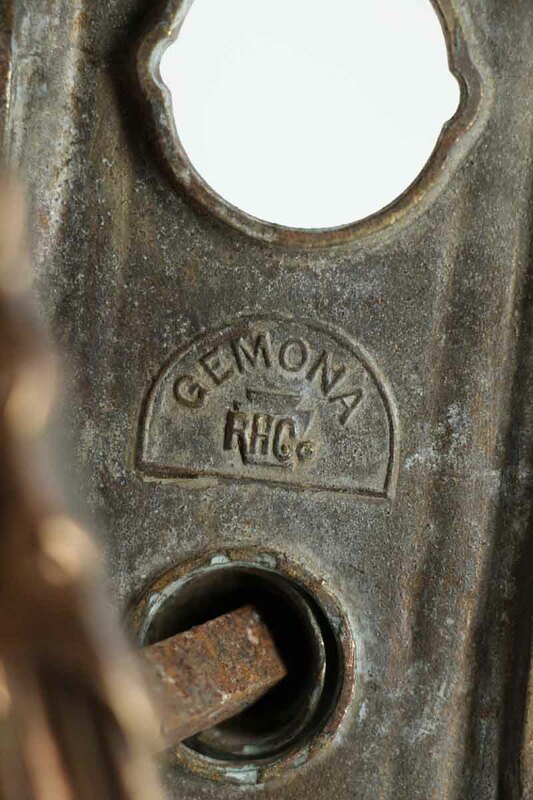 Inscribed Gemona. 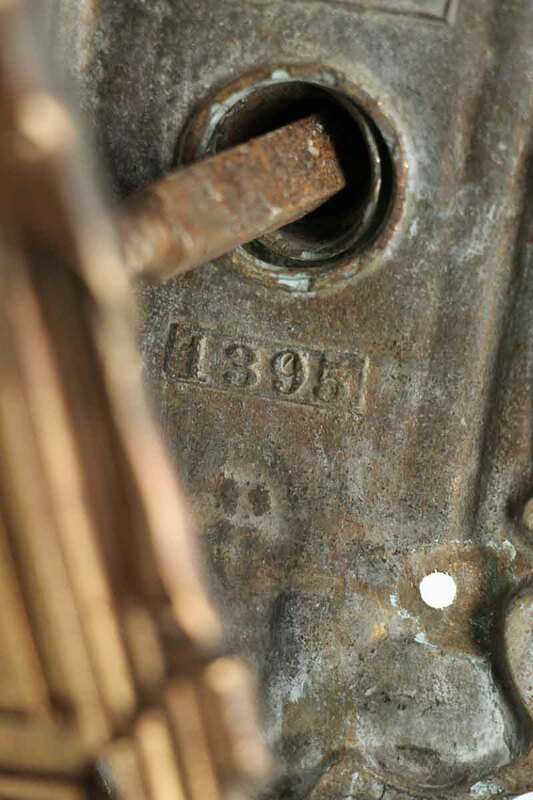 1395.